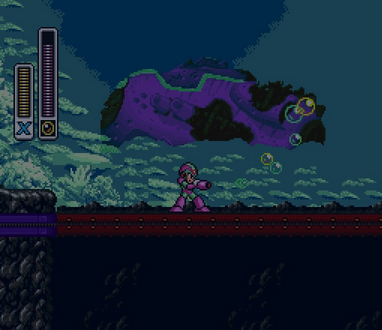 Back in July I dropped a sample version of Rockman X2, which featured a lot of interesting differences from the finished game. And today we've got another, even older X2 prototype for you to check out! Procured by Revenant, GoldS, and C. Davis, this early prototype contains differences in practically every aspect – graphics, sound, debug features, etc. I would say the most significant differences are a sunken ship in Bubble Crab's stage, a completely different background in Wheel Gator's stage, and totally different stage and background titles in X-Hunter Base 3. Head to the Cutting Room Floor wiki for a complete breakdown on all of the differences. You can download the prototype from the Cutting Room Floor as well. You won't find this one in the usual place this time. Enjoy, folks! Thank you guys so much, especially for the last release. Will test with my SD2SNES soon. Same. Even used the Fixed copy, and killed off the 00 padding at the end of the file. I was on the latest stable build too. The Fixed later was the only thing that seemed to work for me. I tried killing off the padding at the end since the Fixed later one seemed to have the padding killed off on that one. 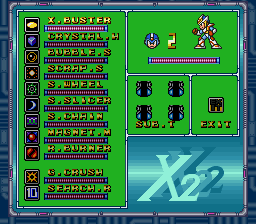 Man, a lot of samples and such for X2 and X3 lately. I wonder if we'll ever get one of the really early X1 or BN1 versions? That's amazing. Just when you think we've seen all the prototypes, another one is found. Thank you so much for your hard work in locating it. Has anybody here figured out how to get to Counter Hunter (X-Hunter) Stages 2 and up? I think the PAR code at TCRF is incorrect since it keeps taking me to Stage 1. Thanks, it worked! Can't seem to access the ending now though but it's ok since it's garbage and all.